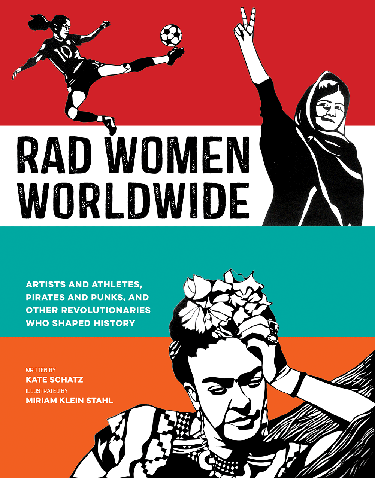 Rad Women Worldwide--the follow-up to UC Santa Cruz alumna Kate Schatz’s New York Times bestselling book Rad American Women A-Z—is a showcase of extraordinary women from 31 countries around the world. The new book features inspired stories of perseverance and radical success, combining well researched profiles with expressive cut-paper portraits by artist Miriam Klein Stahl. The women featured range from Liv Arnesen and Ann Bancroft (polar explorers and the first women to cross Antarctica), to Malala Yousafzai (the youngest person to win the Nobel Peace Prize), to Poly Styrene (singer-songwriter and lead singer for the punk rock band X-Ray Spex). The book also includes Josephine Baker (dancer, singer, actress and civil rights activist), Frida Kahlo (artist and activist), Hatshepsut (pharaoh and king of ancient Egypt), Maria Montessori (physician and founder of the Montessori philosophy of education), Sophie Scholl (student and anti-Nazi political activist within the White Rose non-violent resistance group in Nazi Germany), and Kasha Jacqueline Nagabasera (Ugandan LGBTI rights activist). The aim of the book is to illustrate the immense range of what women have done and can do. As a bonus, Schatz adds an additional 250 names of “international rad women” as a reference for readers to continue their own research. And in its first week of publication, Rad Women Worldwide debuted at #8 on the New York Times bestseller list for Children’s Middle Grade Hardcover books. A graduate of UC Santa Cruz in 2001 with a B.A. 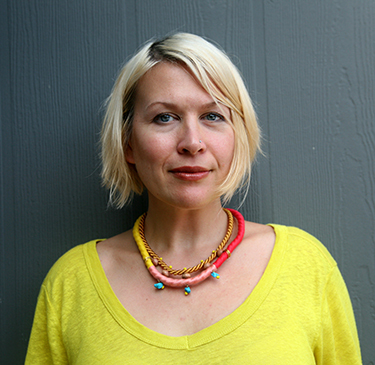 in Women’s Studies and Creative Writing, Schatz is a writer, editor, educator, left-handed vegetarian, and feminist activist. Her work of fiction, Rid of Me: A Story, was published in 2006 as part of the acclaimed 33 1/3 series, and her short story “Folsom, Survivor” was included as a “Notable Short Story” in Best American Short Stories 2011. Schatz is also the former Chair of the School of Literary Arts at Oakland School for the Arts, where she taught fiction, poetry, and journalism to 9th-12th graders for many years.